Come visit our 8,000 Sq. Ft. gallery located at the Aventura Promenade Shops (20633 Biscayne Blvd. 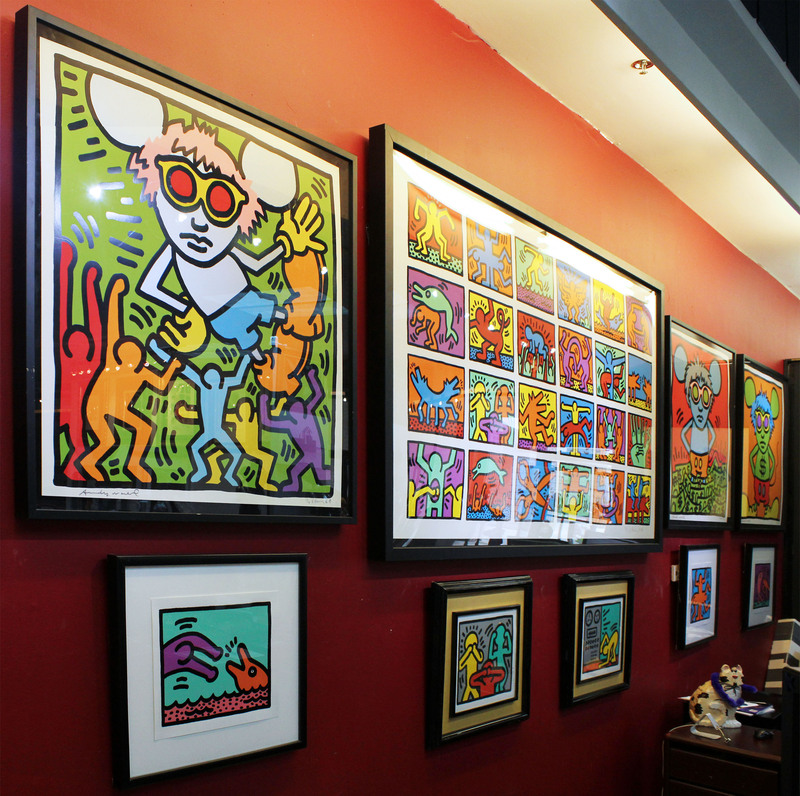 Aventura, FL 33180) to see our Keith Haring Wall featuring original works by Haring, including a complete edition of the “Andy Mouse” collaboration between Keith Haring and Andy Warhol (signed by both artist). The retrospective, titled “Haring Miami” will be held at the Moore Building in the Design District and will feature more than 200 works by Keith Haring. The exhibit features works drawn from collections and never before seen in public. Though the exhibit will run for 4 days (March 6-10) it is sure to attract many South Florida visitors and art lovers. A portion of the proceeds shall be directed to the “Best Buddies” and “Care Resources” organizations. Click here for more information (via The Examiner). Click here for Haring Miami tickets. Next Post Happy Birthday to Ken Hendel!